Alison O’Daniel, Still from The Tuba Thieves (Scene 22: The Deaf Club), 2015. Written, directed, edited by Alison O'Daniel. Cinematography by Meena Singh. Courtesy of the artist. 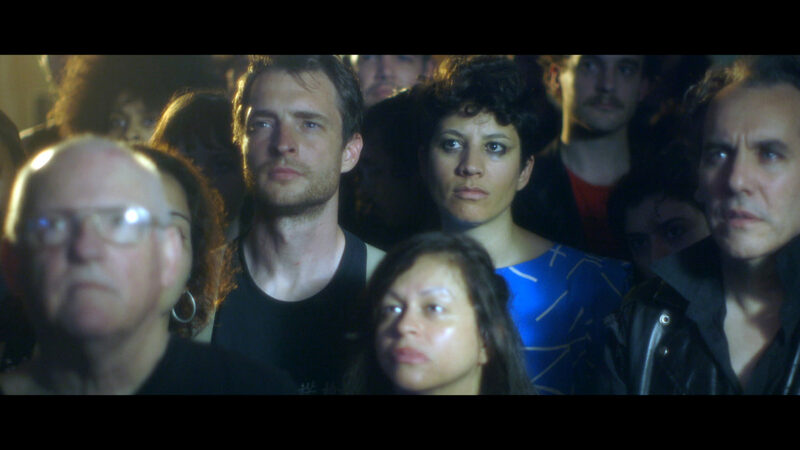 Alison O’Daniel’s The Tuba Thieves (2013–ongoing) comprises several short films that center on acts of listening and producing sound. Alison O’Daniel, Still from The Tuba Thieves (Scene 22: The Deaf Club), 2015. Written, directed, edited by Alison O’Daniel. Cinematography by Meena Singh. Courtesy of the artist. 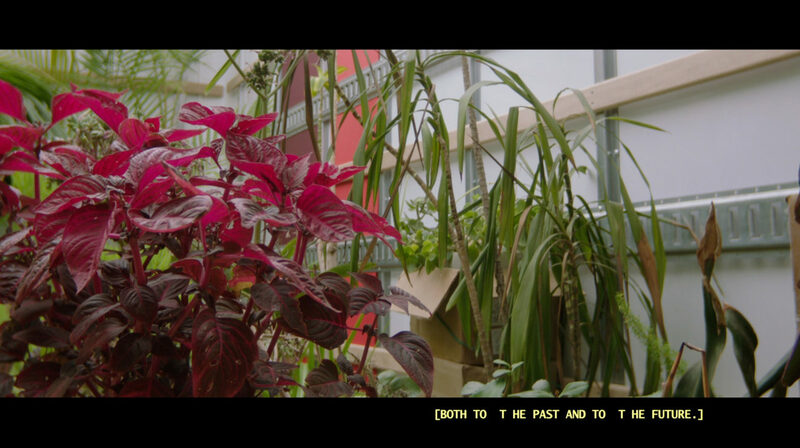 Alison O’Daniel, Still from The Tuba Thieves (Scene 55: The Plants are Protected), 2013. Written, directed, edited by Alison O’Daniel based on a musical score by Christine Sun Kim. Cinematography by Meena Singh. Courtesy of the artist. Alison O’Daniel, Still from The Tuba Thieves (Scenes 5, 6, 60: Hearing 4’33”), 2015. Written, directed, edited by Alison O’Daniel. Cinematography by Meena Singh. Courtesy of the artist. The Tuba Thieves is both a feature-length film in progress that Los Angeles-based artist Alison O’Daniel has been shooting and an expanding project of mixed-media installations, sculptures, and performances. 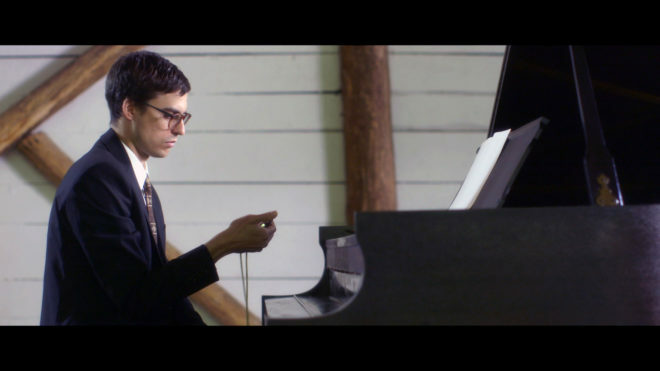 This half-hour program highlights two scenes that reimagine legendary concerts: the 1952 premiere of John Cage’s 4’33” performed by David Tudor in Woodstock, New York, and a 1979 punk show and closing party for the Deaf Club in San Francisco, hosted by Bruce Conner. 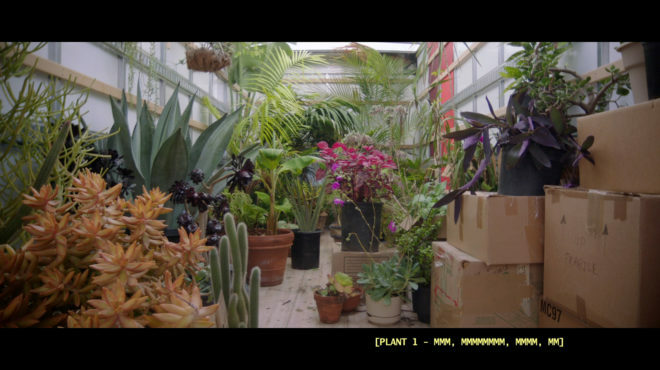 The poetic captioning in the third fictionalized narrative, Scene 55: The Plants Are Protected (2013), foregrounds her collaborative process of commissioning the deaf artist Christine Sun Kim to develop the soundtrack. O’Daniel collaborates with hearing, Hard of Hearing, and Deaf composers, musicians, performers, and athletes in order to highlight the loss or re-creation of information as it passes through various channels. The Tuba Thieves takes its point of departure from a 2011 crime pattern of tuba robberies from several Los Angeles high school marching bands. O’Daniel saw the loss of this tonally-rich instrument as analogous to her experiences with being hard of hearing—missing and filling in the gaps of conversations. Guest organized by San Francisco-based curator Tanya Zimbardo, this program of editioned video artworks is inspired by the section of What is an edition, anyway? devoted to a selected history of music recordings and album covers. The Tuba Thieves in this context additionally offers an expanded idea of the multiple through reenactment and the release of individual film scenes.